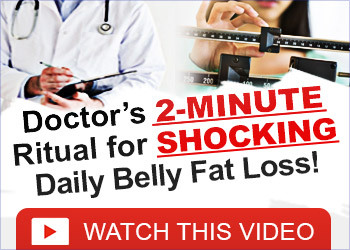 Many people diet countless times within their lives and find it difficult to maintain it. A great deal of this is due to choosing a diet that does not match their personal tastes and incorporate behaviors that are difficult to stick to. For a diet to work it is is essential that the nutrition plan to lose weight is very personalized and reasonable given the individual’s lifestyle. The biggest mistake that can be made is simply following a plan that is laid out by someone that has no understanding of personal tastes. Everyone likes different foods and some are very limited on what they will consume. While some adjustments must be made it should not be so drastic that their no longer is joy in cooking, preparing and eating the meals that are part of the plan. The best way to create a nutrition plan to lose weight is to first think of what kinds of foods that bring enjoyment. Everyone has foods they enjoy that are also healthy. Make a list of these foods under each category. For example, one could list their favorite fruits, vegetables, lean meats, nuts, legumes, whole grains and low fat dairy products. This is the best place to start. The next is to consider daily calorie requirements. In order to lose weight it is required that one consumes less calories than what they burn each day. For those that exercise these requirements are going to be higher than someone that gets little to no exercise. It is also true that men typically need more calories each day than women due to their size and percentage of muscle mass. Finding exact calorie needs is next to impossible, but creating a plan that is around 75% of typical needs is ideal. The next step is to determine whether or not weighing and measuring foods is going to be part of the plan. If that is not something that is going to be easy to stick to it is a good idea to at least keep a journal of what is consumed. This enables one to go back and review what strategies and techniques have worked and what has not worked. The best way to think of dieting is as being a trial and error process that can always be modified along the way. Do not allow small gains to affect the results. Instead, think of the big picture and ultimate goals instead of small ones. One of the biggest reasons diets fail is that people give up before they even really got started. Being patient and forgiving is critical through each stage. Creating a diet involves many steps, but the most important is to be sure that it will be something that is easy to stick with. Someone with a love for pasta and bread likely will not succeed on a no carb diet, so its only setting them up for failure. Instead it should focus on small changes that can make a big difference.